What does a divorced guy have to say about working mums and how they can build a career as a parent? I hope I can provide some insight from the other side, so to speak. Besides, in the modern world, with both mothers and fathers working hard, and equal rights for mums and dads to take time off work to care for their children, why do we have to differentiate between the two? As long as a parent loves his or her child, it doesn’t matter. I’m a divorced father whose son lives with his uber-busy mother. During the divorce, my ex-wife and I had to battle a lot of stereotypes about working women. Every family member, every neighbour had something to say about it. My wife was constantly asked: how will you raise your son alone and build a career as a parent? But the truth is, you can live with all of it as long as it’s not your child and… it’s you yourself who’s judging you. I’m extremely proud of how well my wife has handled communication with our son, despite being very busy with work and trying to build a career as a parent. But the truth is, even though I’m far away from my child, I haven’t vanished. I didn’t abandon my son; I found a way to be close to him no matter where I am and no matter how much work I have. And I believe that what worked for me as a father will work for any hard-working mum as well. No one disputes the importance of parents in a child’s life at any age. But at some point, every parent has to choose between work and children and find a balance that works for everyone. Sadly, when you build a career as a parent it doesn’t always allow us to maintain a close relationship with our children. Both men and women get judged if they’re devoted to their jobs. To your parents, you’re always a child, no matter how old you are. When you’re a parent yourself, what do you do? You devote personal time to your child. To better find time in our busy schedules, my wife and I chose some apps that helped us schedule time together with our son in everyday life, as well as something special for when I visit. She uses Google Calendar, but I’m trying to get her into Cozi. Unlike Google Calendar, it’s a calendar app designed especially for families that gives access to several users. Each family member is marked in a different color. You can set reminders, print out schedules, make grocery lists, etc. To me, using Cozi instead of Google Calendar makes scheduling feel like more of family matter, and not a business matter. Another rule my wife made for herself as she tries to build a career as a parent that is super-important for all working parents is that when you spend time with your child, you need to be there 150% (as we like to joke, to make up for the missing dad). So, she’s made it a habit to turn on voicemail and use apps that block calls and unwanted messages. This way, she isn’t distracted when spending time with our son. She loves Calls Blacklist (iOS, Android) – it blocks calls and messages from unwanted or hidden numbers. I, on the other hand, am a simple man. I just set my phone to Airplane mode to avoid being distracted by calls! Leaving the parent role and becoming a friend to your child is no less important. 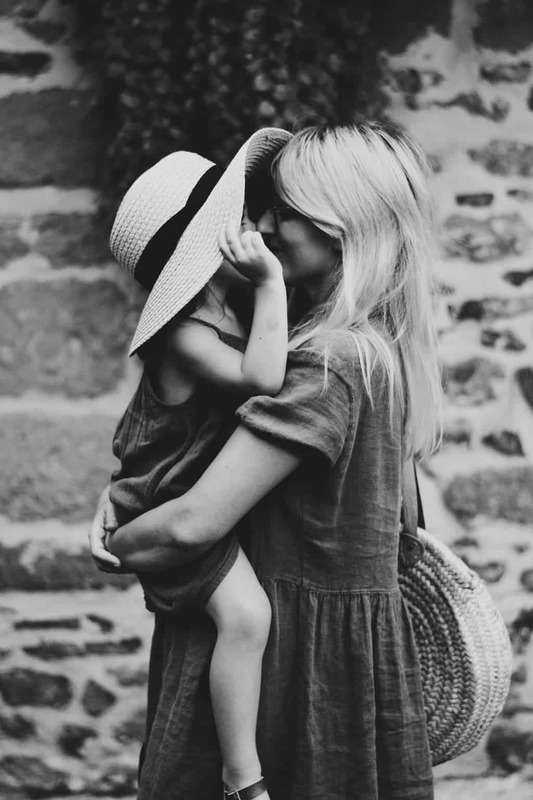 Of course, you have to set limits and give rules, but you should still be a person your child can confide in, and a person who can confide in their child. This was my and my wife’s goal all along, but only recently learned that this is called “liberal parenting” – you listen to what your children have to say, give them a right to make decisions. You don’t judge them, but guide them in times of need. Your child is still your child, but they have a personality, and you can help make it stronger and wiser. So don’t just ask, share. 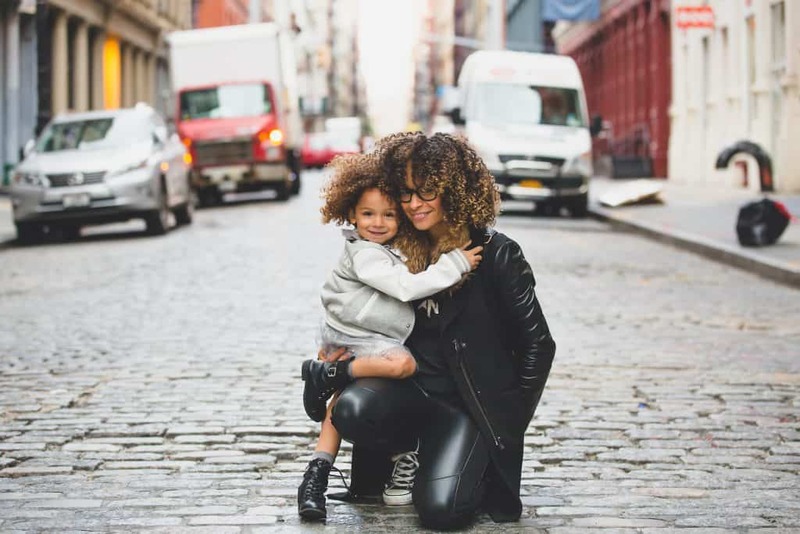 Be able to share your own worries with your kid, talk about problems at work or in society – this way, the kids will be involved in family and city life and will learn to think analytically. Also, they will feel their opinion matters. By the way, kids can give awesome advice! Just the other day, my ex told me about how our son helped her solve a problem at work. Kids have the most original ideas, because they’re unbiased and fair! I never had any real hobbies, but to spend more time with our son I bought both of us new longboards. Now we go skating in the park every time I fly over. Or he goes skating with my wife every Saturday. This way, our son always knows that no matter how busy we are, Longboard Day is as scheduled. His mother’s day is during the week, and he can count on her undivided attention on weekends. Alternatively, you can draw together, cook, ride bikes, do puzzles or go to museums. As soon as you find a common interest, use it to spend more time with your kid. You’ll have stuff to talk about later. Something as small as watching a movie or playing board games together can work as well. It’s the effort that counts. On that note … I feel like when we were living together, I didn’t sufficiently appreciate my son’s efforts. Some things might be nothing to you, but a huge victory for our kids. When I grew up, my parents only noticed the slips, but not my achievements, and I really wanted them to acknowledge them. I’m glad we didn’t make this mistake with our kid. When we divorced, I was sure our son’s life would turn upside down. But to some extent, he’s better off now. We give our all to make him feel loved and understood. And at this point, I’d like to say how proud I am of my wife, who started to build a career as a parent and handling all this without me, on her own. I’m proud of how, after years of disagreements, we started acting in sync for our son’s sake. Although I now live on a different continent, I try as hard as I can to be a part of my son’s life. 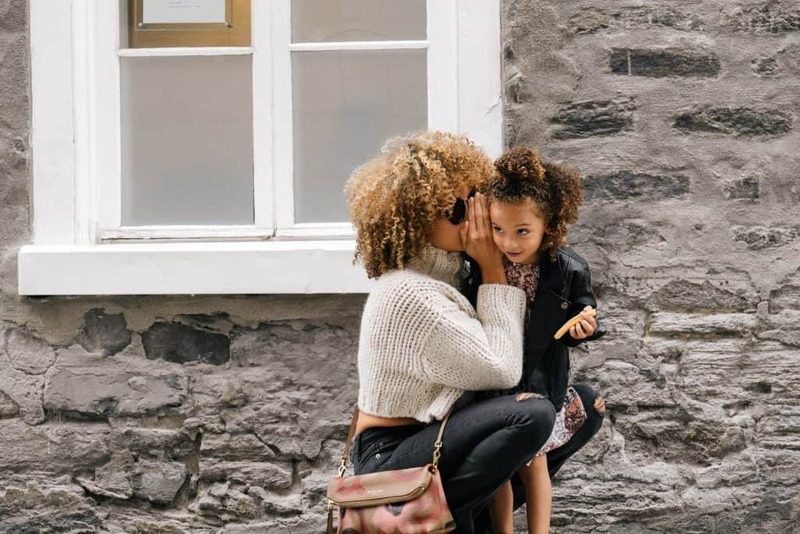 We were looking for different communication channels to stay in touch, and now I’m going to tell you about the apps we use together and that every working parent should consider. We started using Snapchat first, because it’s what my son and ex-wife use. This is an app that most teens adore – our son is 14, and all the kids in his class use it too. You can take pictures or short video snippets that disappear after 24 hours. I didn’t quite grasp the beauty of this app (videos are not my thing) but my wife loves it – she can easily pass time exchanging short videos or pics with our son, and share some laughs using funny filters the app offers. What worked for me was StoryTold. It’s an app that helps you write stories for your kids. You can use the stories to teach without using strict morals, to open up to your kids and pass on views and values in an entertaining manner. I love writing, so an app that gives me writing suggestions was something I’d been looking for a long time! And now, as soon as I have time, I sit down and write, then I send my stories to my son so it’s there when he wakes up. I got my ex-wife hooked on it too, so she sometimes joins our storytelling party. Another great idea is Bank of Mum. Children who have mums and dads trying to build a career as a parent need to learn how to be self-sufficient in many things. We decided to try this one with our son to teach him manage his money and savings. On top of this, it lets you track the kid’s screen time for TV or video games, as well as sleepovers and trips. Stridepost is a great help, too. Instead of sending out millions of messages reminding your kids to do their chores, you can assign them to each kid, and even dole out points for completing them! It’s less of a competition for our only son, but he still gets his points, and when he reaches a certain number we reward him – the app allows you to add rewards from Amazon! I also use this app’s calendar to share when I plan to visit my son and ex, or when I want to schedule a call for the three of us. This one may be obvious, but apps like Yelp or Foursquare are a big help. These apps let you write reviews for museums, landmarks, or restaurants. Pick a location you and your child have never been to before, use the apps to find kid-friendly places, and discover the world together! Nothing helps the bonding process like an exciting adventure! And one more bit of good advice. Don’t forget about yourself. A tired or angry parent is definitely not a good example for your little one. Take time to relax. If possible, do what you like with the child; this is even better. A good movie, for example, eating tasty ice cream, or shopping together can cheer up adults and children alike. I mean, all this sounds complicated at first. But it only seems that way before you get into it. Start with something as simple as scheduling a board game every weekend, then add a couple of apps to see what works best for you. For my family, online tools were a major help in handling our communication with many miles and our careers standing between us. With calendar apps, our son feels his opinion is important in family plans and decisions, while Snapchat and StoryTold help us keep track of each other’s lives, open up to each other. Even if my wife or me is stuck at work, our son can read a funny story about how his parents met as teenagers, or how his dad was expelled from school for bringing a dead frog to class. Better communication with my family helped me build a career as a parent. I didn’t have to worry about my son anymore, so I could concentrate on my duties. I know my son doesn’t hate me, or God knows what else. The most important thing is to remember when you build a career as a parent is why you are doing this, whenever you leave for work and go back home. Be open, be ready to take action, and be sincere about your feelings. Your child will feel it. Author bio: Dean Kompanets is an entrepreneur, writer and a father of Ben, a 6-year-old boy. He set a goal: he would have a deep, trusting relationship with his child, even when he about is 1000 miles away. This has always been a challenge. To become a parent and a career person. I was actually looking for some ideas and then I found your site which seems very detailed and easy to understand. Lots of useful thoughts that can be applied as a parents. Thank you for sharing.